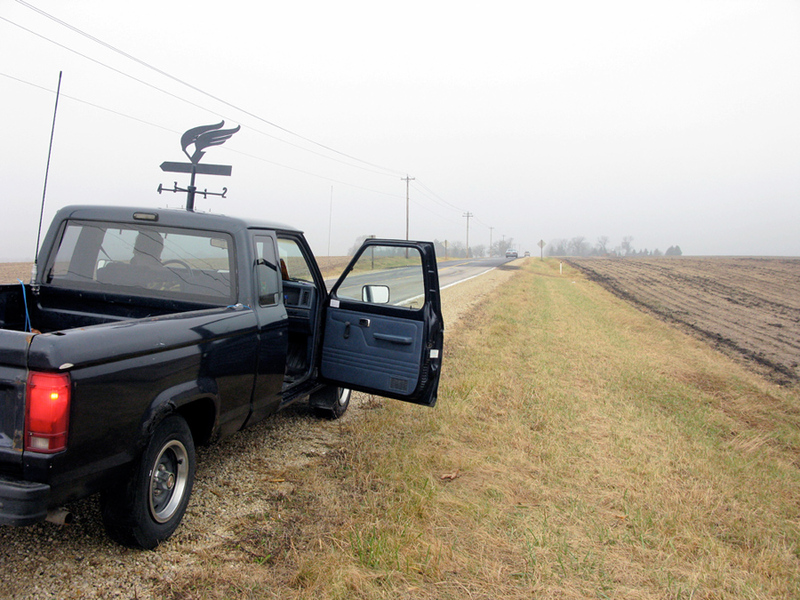 Blue Rider, 1986 Ford Ranger truck and weathervane, 2010. In a breath, video, (4:45 min. ), 2011. 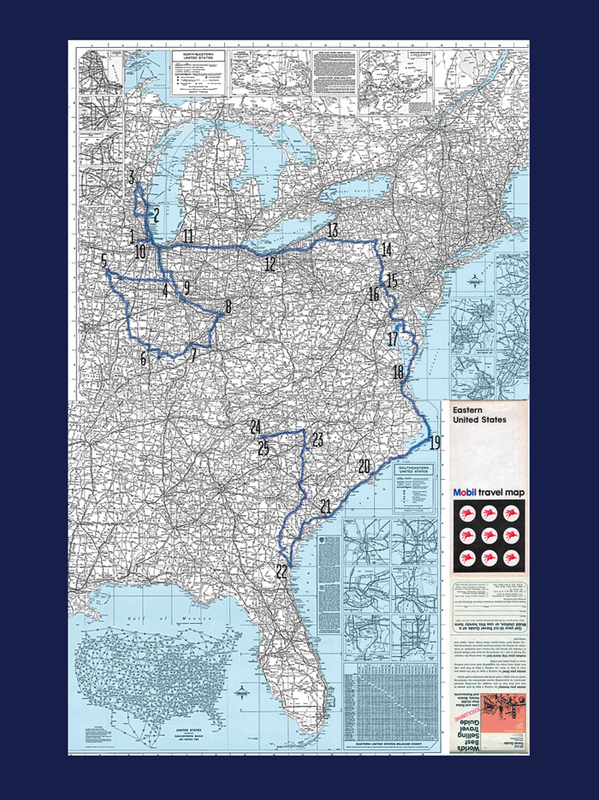 Road of the winds, – geopoetic map, digital print. Patrick Beaulieu, Daniel Canty et FEED, 2010. 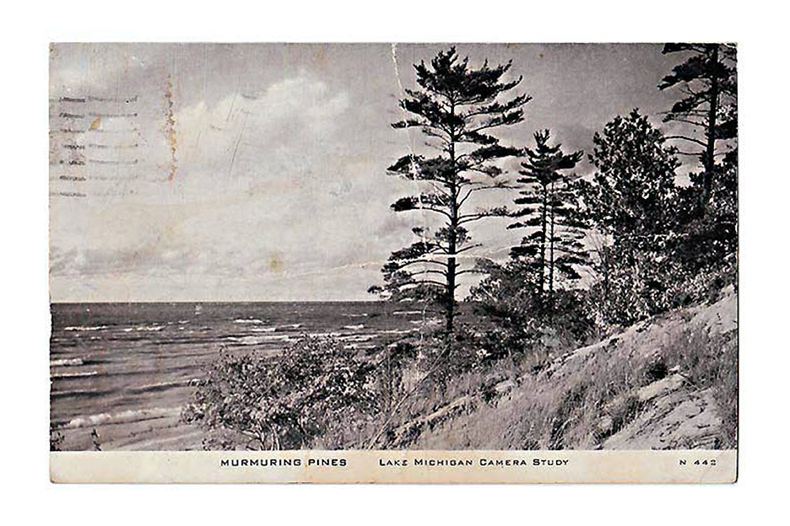 Air Mail – Georgia and Air Mail – Murmuring Pines, extracts from the collection of postcards of the wind, 2010. VVV – a trilogy of transfrontier odysseys (details of the exhibition), Visual Arts Gallery, Laval University, Quebec, Canada, 2013. 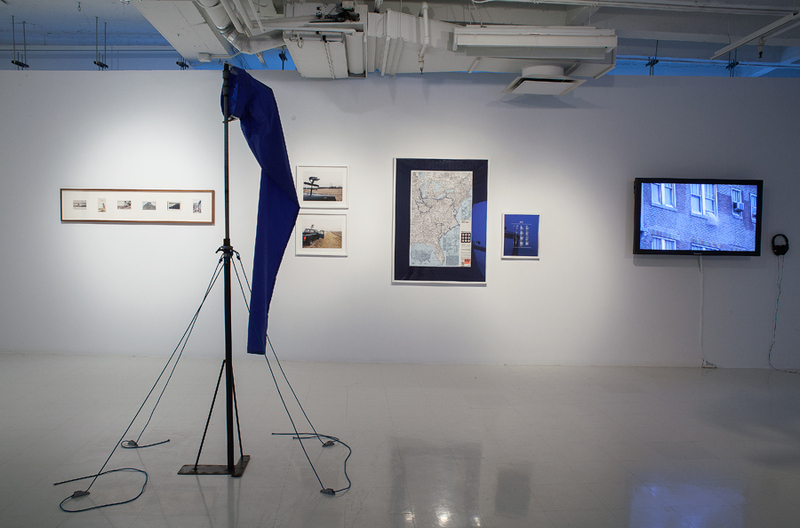 Blue Rider – weathervane, 2010. Photo : Alexis Pernet. Design of the weathervane : Feed. with Daniel Canty, Alexis Pernet and Dauphin Vincent. In November and December 2010, Patrick Beaulieu initiated a 25-day transfrontier odyssey trailing the winds of America. 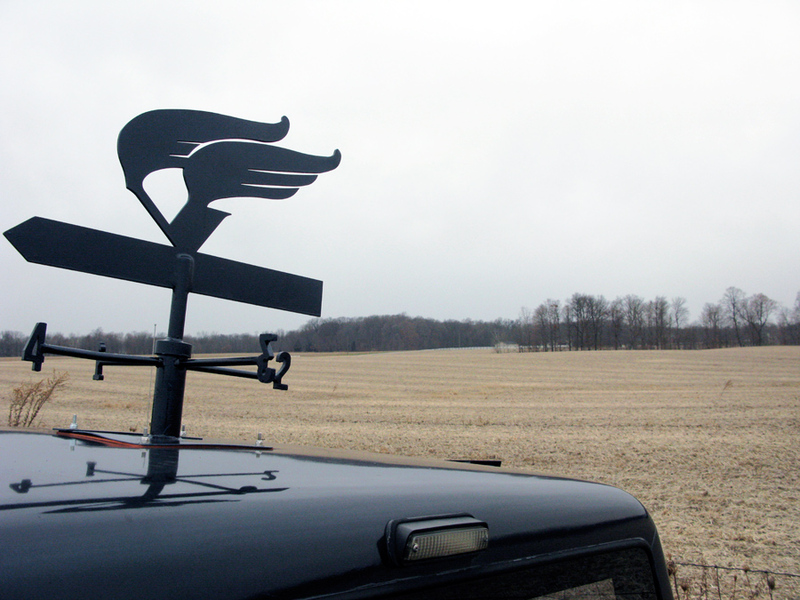 Interested by the influence of the wind on humankind, nature, urbanism and geography, he pursued the aerial currents on board the blue rider, an old Ford pick-up fitted with various accessories and tools for observing the winds — a weathervane, a windsock and a pinwheel. He was accompanied in turn by three co-pilots : the landscape architect Alexis Pernet, and the writers Daniel Canty and Dauphin Vincent. Together, these windfinders completed a kind of terrestrial navigation, attempting, against all odds, to establish a correspondence between the roads of the continent and the fluidity of aerial currents. Ventury’s starting point was Chicago — The Windy City. From there, the windfinders traced a daily path wholly dictated by the vagaries of the wind, choosing to abandon themselves to forces beyond their own in order to fully experiment their poetic potential. The phenomena observed along the road, while they bring us back to areas of scientific knowledge (meteorology, physics, geomatics) nevertheless contain an irreducible part of mystery. This transfrontier odyssey invites us to fathom, on an exploratory mode, the intuitive and metaphorical part of our understanding of the wind, this almost unearthly natural phenomenon. (Daniel Canty, venturyodyssey.patrickbeaulieu.ca). «In an attempt to poetically define the wind, in Ventury, two main activities were repeatedly undertaken. 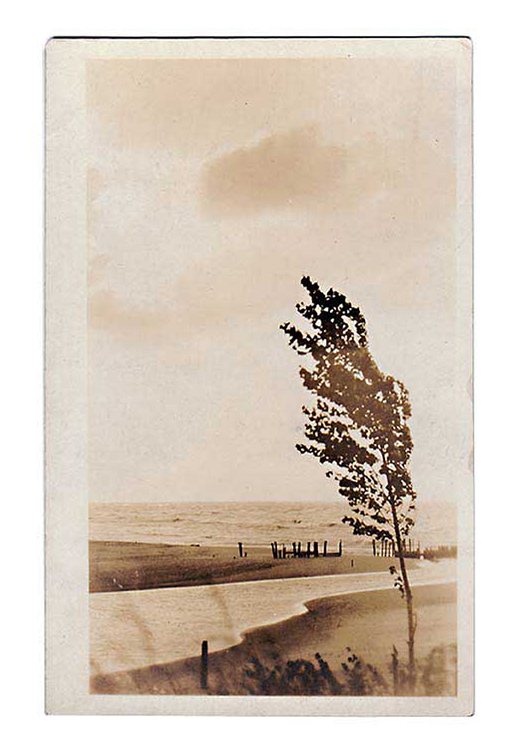 Upon arrival in each small town, Beaulieu found the nearest book or antique shop and inquired with the clerk: “Do you have any postcards of the wind?” The sincere query – a playful action that inspired vivid response – led to an eclectic selection of poignant, nostalgic pictures; a collection aptly titled, air mail. – Victoria Stanton, extract from Porous Borders, Fragile Structures and Chance Encounters: Performative Trajectories and the Importance of the Immaterial in the VVV Transfrontier Odyssey Trilogy, Inter art actuel no.118. 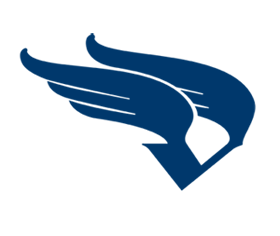 Since 2010, Ventury has been presented in the context of exhibitions and performances in U.S.A., France and Canada. 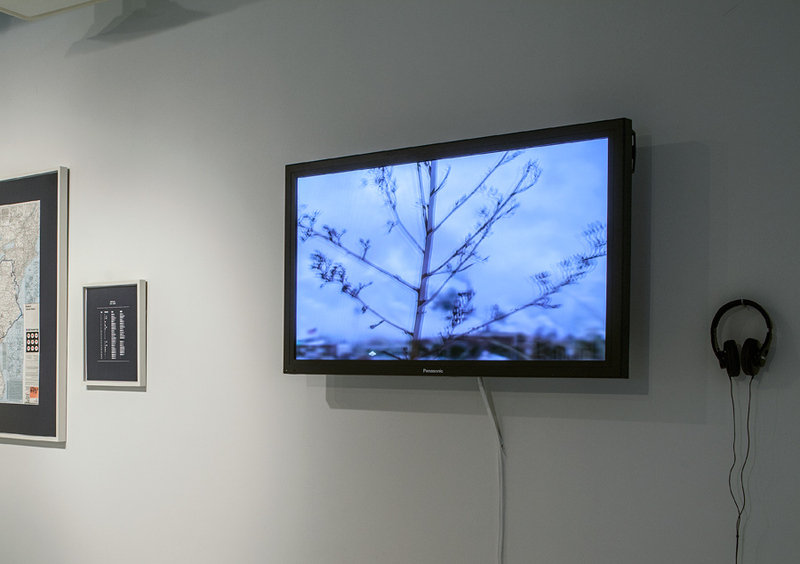 Fragments of the project has been shown among others at the Green Lantern Gallery of Chicago, the Bryant Lake Bowl Theatre of Minneapolis (Salon Saloon – Auto Show by Works Progress), the Maison Vieille in France, the Sporobole art center in Sherbrooke (Jean-Pierre Aubé et Patrick Beaulieu – Géopolitique de l’infini curated by Véronique Leblanc), the Visual Art Gallery of Laval University in Quebec and the Art Mûr Gallery in Montreal (Still Moving/Moving Still curated by Anaïs Castro). Texts from Daniel Canty (Les États-Unis du Vent, La Peuplade, Saguenay, 2014) and Alexis Pernet (Les Chemins du vent, Criticat, Paris, 2013) give testimony of their experience on the road of the wind. Patrick Beaulieu and Daniel Canty are working on «VVV – the book» that will gather, among others, the texts from the windfinders of Ventury (Les Éditions du Passage, 2015). Ventury is the second project of VVV: a trilogy of transfrontier odysseys by Patrick Beaulieu. The project have been preceded in 2007 by Monarch Vector: a transfrontier odyssey following the migratory path of the monarch butterflies and followed in 2012 by Vegas: a transfrontier odyssey on the road of chance. Patrick Beaulieu. Trajectoires performatives. VVV : une trilogie d’odyssées transfrontières (pdf) Victoria Stanton, Inter art actuel no.118, fall 2014. Les chemins du vent (pdf) Alexis Pernet, CRITICAT no. 11, Paris, 2013. 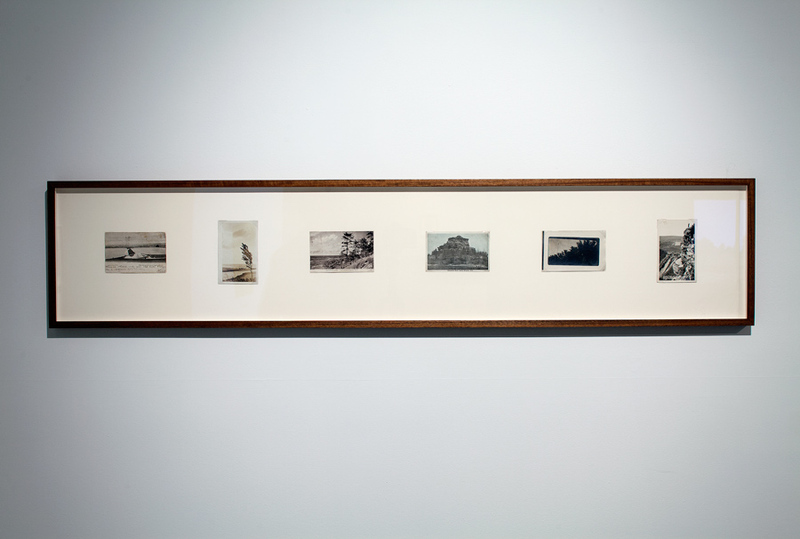 Un road trip à tous les vents – Voyage artistique guidé par les vents qui balaient les États-Unis (pdf) Catherine Lalonde, Le Devoir, Thursday, July 10th, 2014.